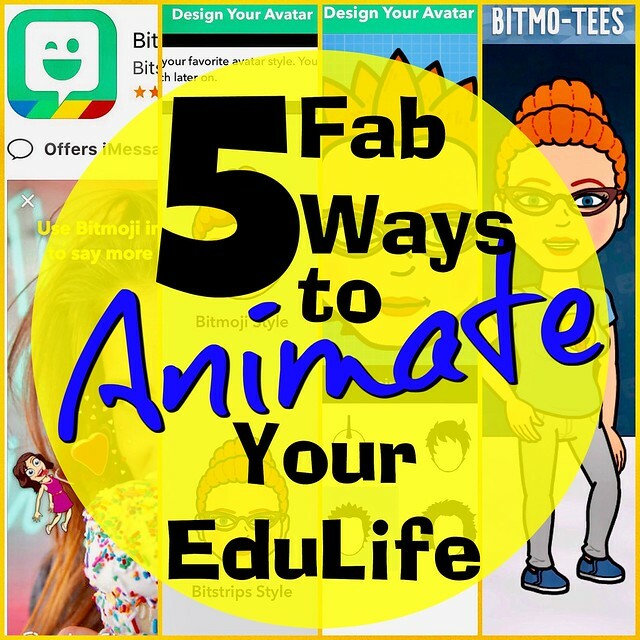 5 Fab Ways to Animate Your EduLife! 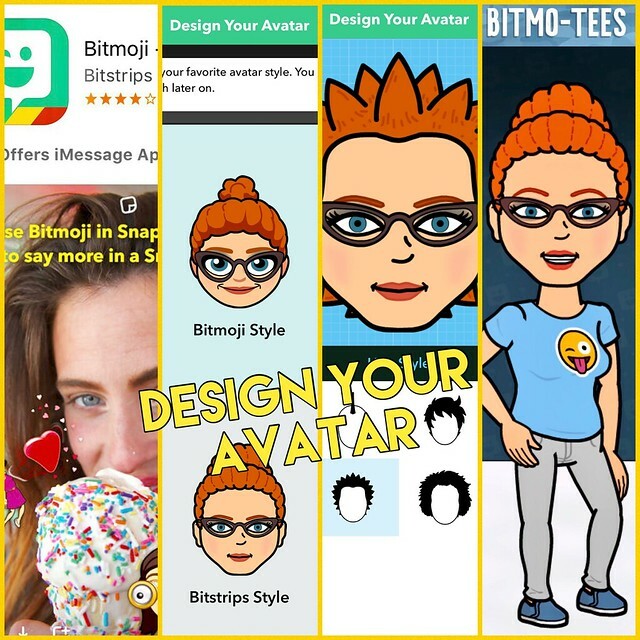 Bitmoji is an emoji or avatar that you can customize to look just like you (or in my case a younger skinnier version of me!) which is then automatically inserted into all kinds of colorful cartoons. 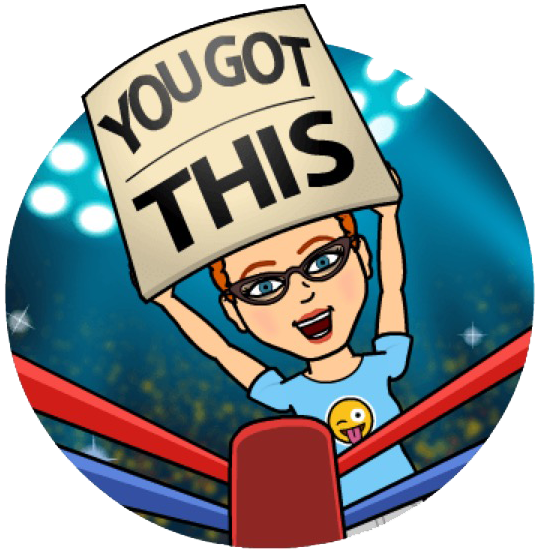 You can use Bitmoji stickers as your Twitter avatar, on Snapchat stories, within Seesaw and Google Apps for Education, rubrics, within Gmail, on your blog, or for classroom or library signage. It’s also a fun way to add spice to you texting life with friends and family -- and there are at least four fab ways you can animate your edulife and use in the classroom! 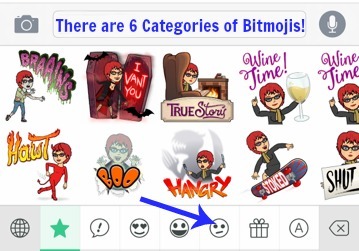 There are other avatar creators out there, I have blog posts, articles, and resource web pages that go over more than 15 of them - but Bitmoji is FREE and is, by far, the easiest one to start with. I also have to assure you, I don’t work for them, this is not sponsored or a “paid advertisement,” nor do they even acknowledge my positive Tweets or social media love, though I wouldn’t be mad at them if they sent me a T-Shirt! While you’re texting, there are 6 categories of Bitmoji's, you select them by just touching, copying, and pasting into the text message box. 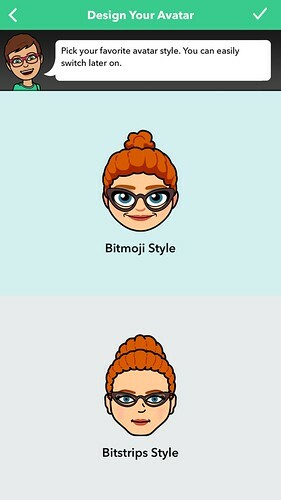 Like Bitmoji? There's an Extension for That! 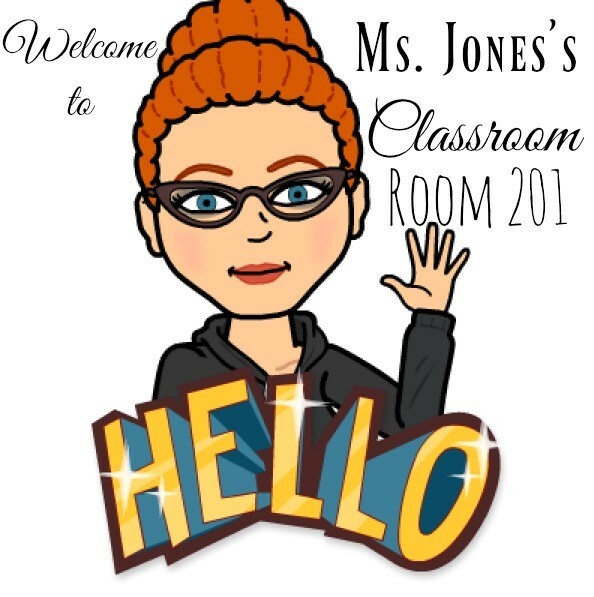 Once you have your Bitmoji on your computer you can make signage for your classroom or library. Think of Back to School Night signs and a classroom door welcome sign with your room number and name, or a “Place Homework Here” sign, the possibilities are endless. I created the sign here by adding the text using PicMonkey, a FREE site with creative tools for photo editing and graphic design. 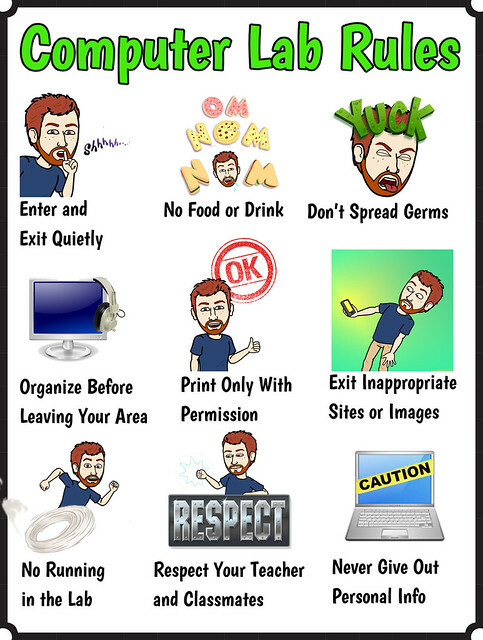 Classroom do’s and don’ts signs can be so boring, Bitmoji’s really jazz them up! My friend Andrew Tyler aka @atylerlibrarian in New Hampshire, created really a neat Computer Lab sign featuring Bitmoji’s for his school! 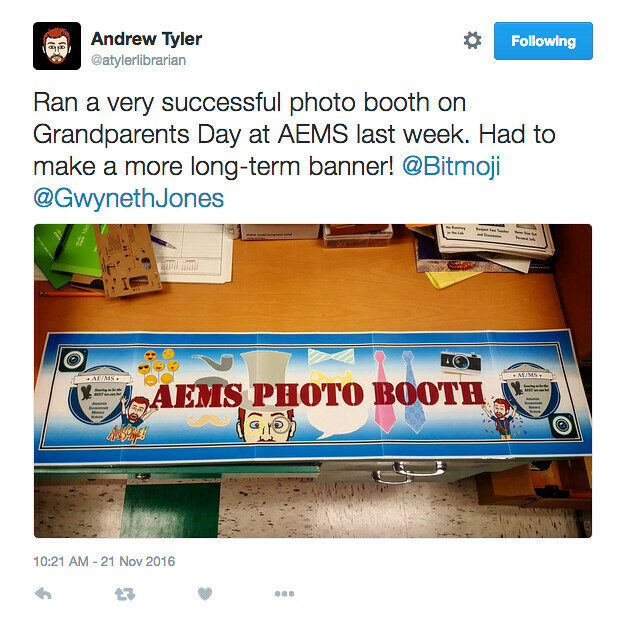 (Picture found here in many sizes) Andrew also shared on Twitter how he created a fantastic photo booth sign for his Middle School Library for Grandparents Day! 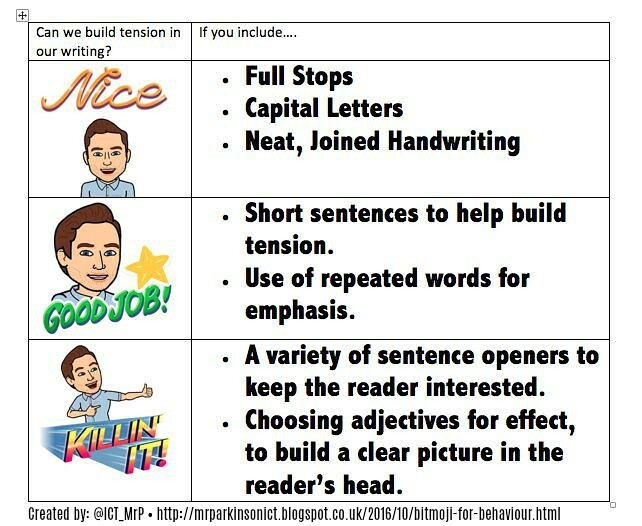 Mr. Parkinson aka @ICT_MrP, a Primary ICT teacher in Britain, uses Bitmoji stickers in a rubric for writing prompts. What a great way to give kids a visual feedback for their assignments. Anything we can do to make Rubrics more approachable and useful the better! 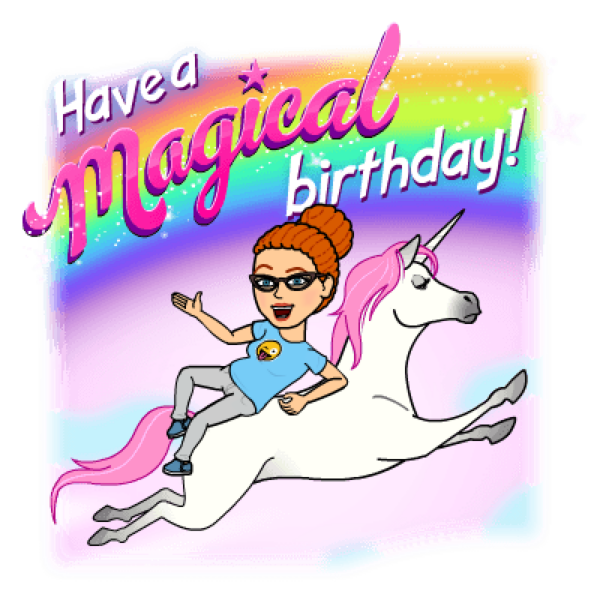 Bitmoji avatars are super for sharing on social media. Whether it’s as your Twitter profile picture, on a blog, in Snapchat stories, or on Instagram - these cartoons really bring personality to any platform. One of the coolest ideas I’ve heard lately was from Tara M. Martin aka @TaraMartinEDU called #BookSnaps. 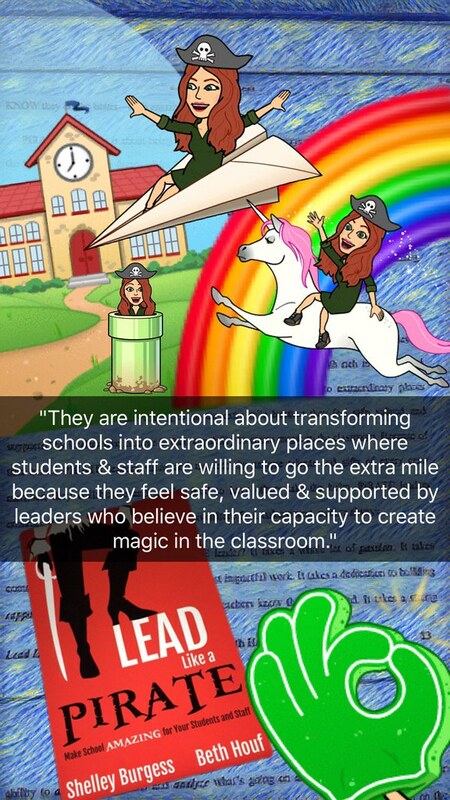 Tara shares how she takes a picture of a section of text, uploads it to Snapchat, adds a filter, re-types the quote from the book, draws arrows, writes words, and then brings in a Bitmoji to add more zip. This is a cool way for the reader to express their connections to text with a digital visual representation. 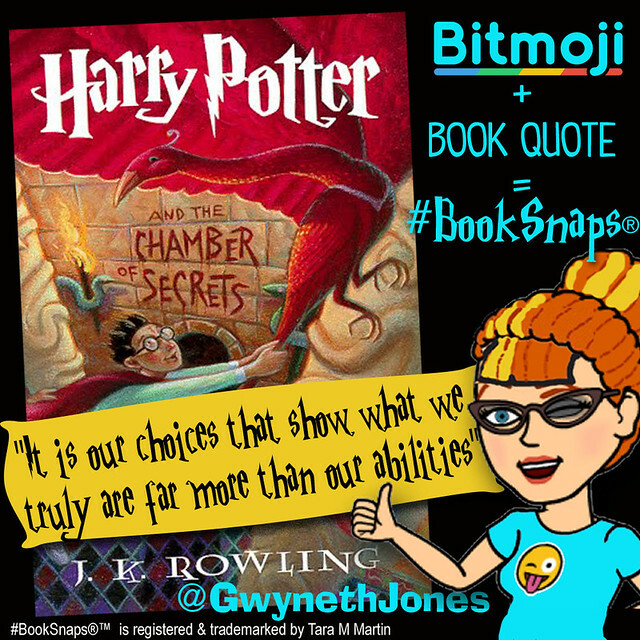 Search #BookSnaps for articles, directions, blog posts, and videos on how to join in on the fun. But since I don't want to "friend" my kiddos on Snapchat (because, boundaries and I teach Middle School) I could see how you can do this same thing can be done using Instagram. You could also create these with Google Docs! Our wonderful school data clerk Kimberly Walley (who has since moved schools - miss her! She the one saved teachers when our Synergy electronic gradebook went wonky or changes - she used it to transform a possibly boring newsletter to bright when directions or updates are shared with the school staff. See her graphic above! I have to warn you that Bitmoji’s are to use FOR kiddos and not to use WITH the kiddos. This is because some of the stickers or cartoons have to do with drinking alcohol, some have trendy bad-ish language (FML), and some are sorta flirty. Not R rated, maybe not even PG-13, but just not for kiddos in my humble opinion. Since I teach Middle Schoolers, this is right-out. Sure, some of my kiddos might have their own Bitmoji, but I’m not going to be the teacher to promote their direct use. This is for your professional classroom branding and fun. Emojis have become necessary in recent years because they fill a gap people didn't even know they had. When texting, they add feeling to conversations and allow you to tell if someone is being sarcastic or sweet. Bimoji’s give those conversations identity and personality. Maximizing that super power of a customized and engaging cartoon and using it in your professional practice brings it to the next level. Give it a whirl, and discover more ways to use them in your classroom! 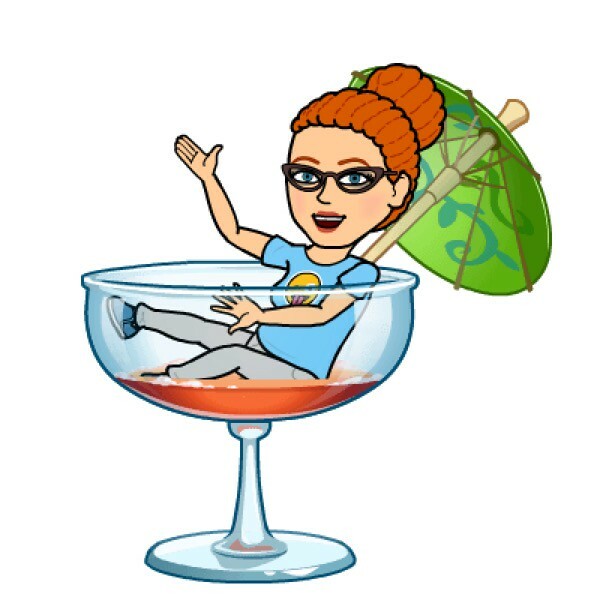 I’d love to see your Bitmoji, share and Tweet them to me @GwynethJones so our cartoons can be friends! If you’re reading this on paper, Google the title to find online & enjoy! It's a Cartoon, It's An Avatar, It's a New Animated YOU! I love this idea, having your face in the different posters and resources that your students use can make it much more interesting and engaging. I tried making a bitmoji for myself but can't make it look like me, any suggestions? 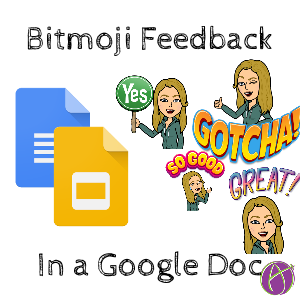 It would be really fun for students to use their bitmojis in their assignments. 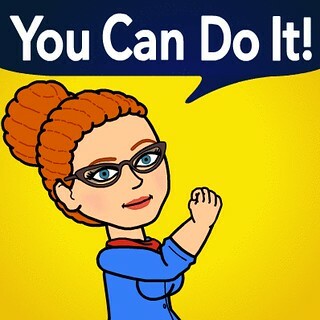 They use bitmojis to express the way they feel or if they are writing in a sarcastic way, including this in their work can be an interesting way to include their voice into a piece of writing. Asking them to describe in words different bitmojis can also be a great way to develop vocabulary or how to include details into their writing.